With his roots in both Cuba and France, this thrilling young pianist displays an impressive maturity, which at merely thirty years old, will no doubt guarantee him a place amongst the greats. Thus his new album, New Day, clearly represents an artistic renewal; the rising star refines his style and adds colour to his artistic palette (listen out for the Fender Rhodes keyboard), all to further charm his ever-growing audience across the globe. 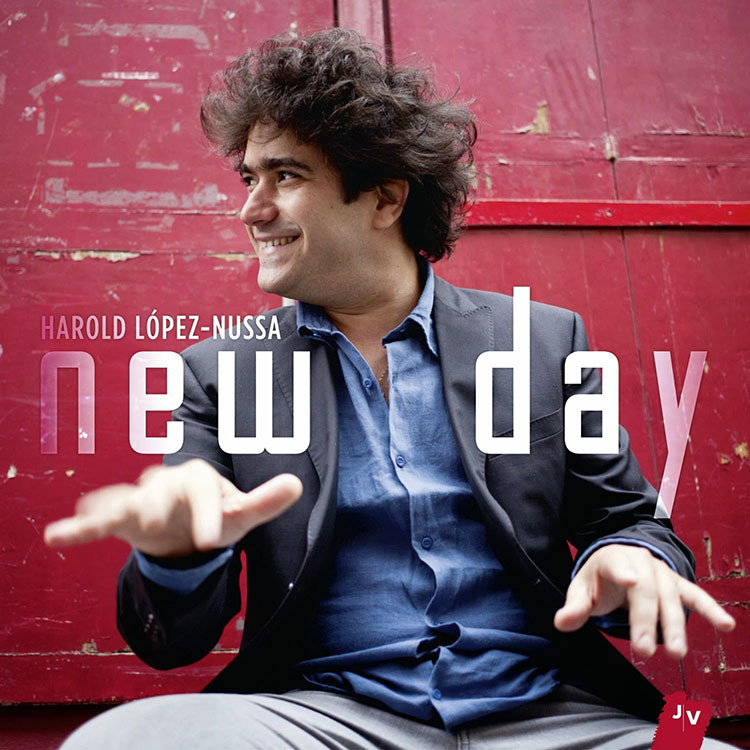 The energetic jazz of Harold López-Nussa, an erudite mix of intoxicating melodies and quicksilver rhythms, owes as much to the distinguished school of Cuban piano as to the pianist’s born gifted (innate) virtuosity, which he has cultivated under the influence of such great jazzmen as Keith Jarrett and Wayne Shorter, as well as classical composers Ravel and Villa-Lobos. Not yet 30, Harold Lopez Nussa was born in Havana in a family of musicians. After a solid classical training at the conservatory, he then opens up to the popular music. Jazz becomes his passion. In 2005 he wins the « piano solo contest » of the Montreux Jazz Festival, an award that enables him to record his first solo album « Sobre el Atelier ». Critics immediately describe him as a « gifted jazz musician ». In 2007, he performs alongside with the diva Omara Portuondo for her « Gracias » tour and continues parallely to perform with his trio, which he will optimize for his second solo album « Herencia » (« Legacy ») released in March 2009 (world village). Today, still backed by his young brother, a drum prodigy, and doublebass player Felipe Cabrera and lifted by master saxophonist David Sanchez, he is crossing a new step. On « El País de las Maravillas », recorded, Harold Lopez Nussa is asserting himself as a stylish composer and a powerful pianist whose technical abilities joined to a high sensitivity transcend his cubanity. He is standing in the heart of the jazz trend of today. Personnel: Harold López-Nussa – piano, keyboards; with Mayquel González – trumpet; Gastón Joya – double bass; Ruy Adrián López-Nussa – drums, percussion; Harold López-Nussa, Gastón Joya, Ruy Adrián López-Nussa, Mayquel González – choir. Track listing: 1. A degüello; 2. Cimarrón; 3. Paseo; 4. Fantasmas en caravana; 5. Otro viaje; 6. New day; 7. Corriendo por los portales; 8. Eso fue hace 20; 9. Buenos modales; 10. Enero; 11. Otro güajiro en Paris; 12. La paz que me domina.